We thoroughly enjoyed our stay. Christina answered any questions we had before our stay and Nicola was so helpful when we arrived and gave us fantastic recommendations of places to visit. The studio was extremely clean and a lot bigger than we had imagined from the photos. We were within walking distance from all the prime locations and the area was beautiful. We would highly recommend! Thanks again! So many Thanks for your comment ! As advertised, this was a great little flat for two people. Affordable and just far enough from the hustle and bustle of "downtown and the Red Light", but very walkable to everything. The only issue I would point out is the bathroom situation and shower is very tight, but not enough to deter me from staying here again. The owners were great, met us at the flat on arrival, explained everything and offered suggestion on local offerings. There's a great group of pubs and restaurants just a couple of blocks away that provide everything one would need. Amsterdam was an amazing city and I can't wait to get back and explore more of the region, 3 days was not enough!!!! . 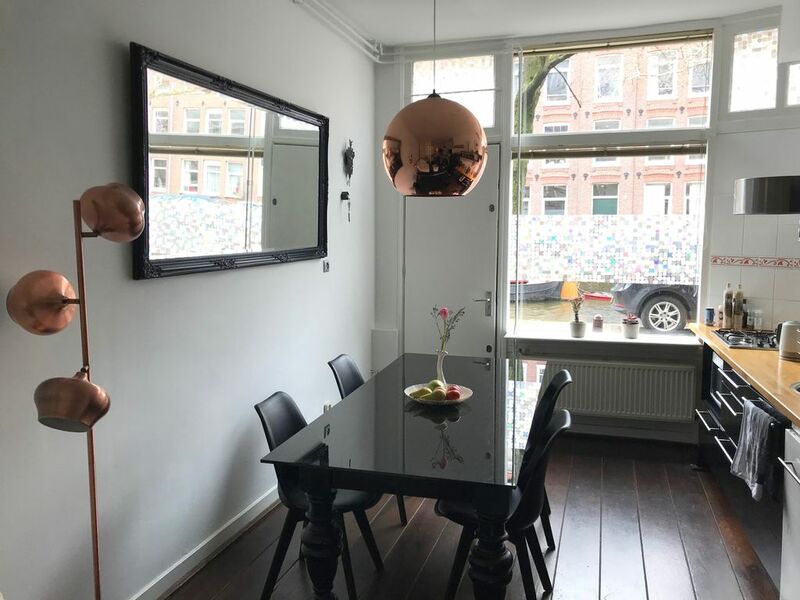 My wife and I stayed in this Jordaan apartment for three nights in December. The apartment is perfect for two people. The neighborhood is quiet, but easy walking distance to attractions and many fantastic restaurants. The process was smooth from booking to arrival. Cristina was quick to communicate and provided us with many recommendations for activities and attractions nearby.